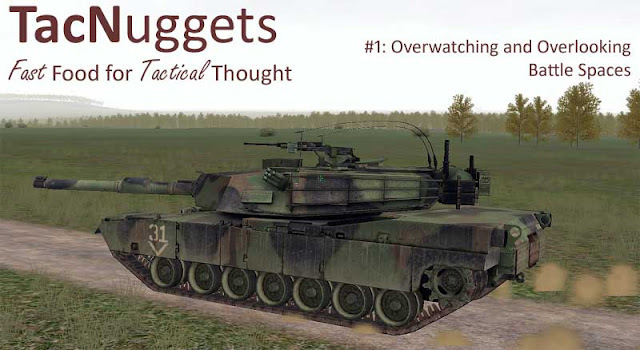 The official line: TacNuggets is an experimental series of short entries about tactics. 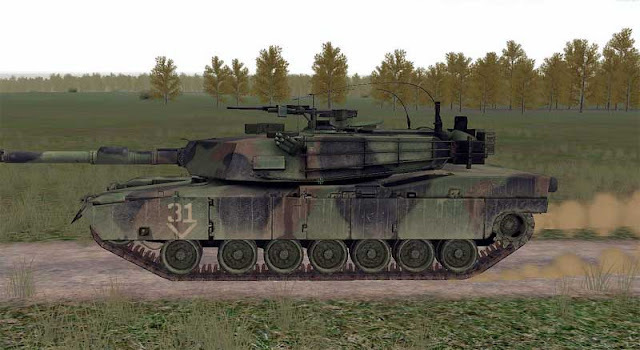 This series will focus in simple tactical problems and their solution, using several simulators and games. Not intended to provide a full tactical meal, TacNuggets is just a snack to get your warrior spirit going through dull periods of time at work, the downloading/installation of your favorite game, your significant other's nagging, the music on your credit card's customer support line or the loading time of your next DCS Black Shark mission. The fine print: TacNuggets is mostly about: (i) blunders that consistently get me killed and prevent me to complete scenarios and write a decent after action report; (ii) over analyzing tactical axioms that most people can practice in their sleep; (iii) fattening your warrior spirit with an unhealthy snack that will leave you unfit even to command a pack of sheeps and (iv), camouflaging the diminishing lenght and quality of the blog's entries with new names or word tricks. Without further addo, let's go straight into this first entry. After graduating from Gary Owen's training scenario (sorta, how good is a graduation after you have been killed a dozen times?) on movement techniques, I confidently rolled into the virtual battlefield with my wingman. 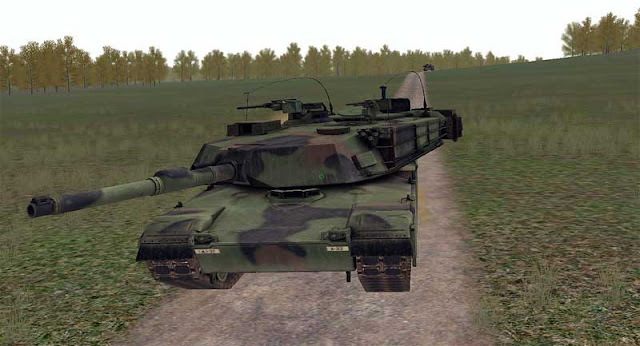 We (a two tank section) were moving using bounding overwatch and my wingman was on overwatch duty while I advanced (see image below). My wingman is in the background, my tank is in the foreground. It was a relatively safe corridor, with trees at both my left and right flank. Before I rolled in, we thoroughly scanned these trees for infantry or armor. So safe I felt that my only worry was the next overwatch position. Careful planning of the next overwatch position is a good thing (never move beyond the terrain that your overwatching guys are covering). So, the next elevation shown in the picture above was, in my mind, the one. Not so fast! In all my enthusiasm for the next overwatch position in front of me, I overlooked the fact that the treeline in my right flank was ending (see image below). The terrain in the background, beyond the treeline on my tank's right can't be overwatched by my wingman. Doh! Technically, I was on terrain that my wingman was overwatching, but I was on a place where the enemy could shoot me from my right flank without being seen by my wingman (he had no good line of sight through the tree line). 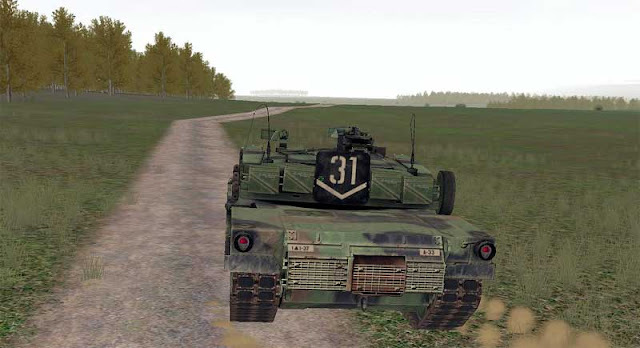 With my tank crew focusing forward and my wingman without line of sight because of the trees, our right flank beyond the tree line was not in our "battle space". Our right flank was a dead space of sorts. So, either minimize the dead space by re-positioning your overwatching units or carefully ponder the limits of your battle space.